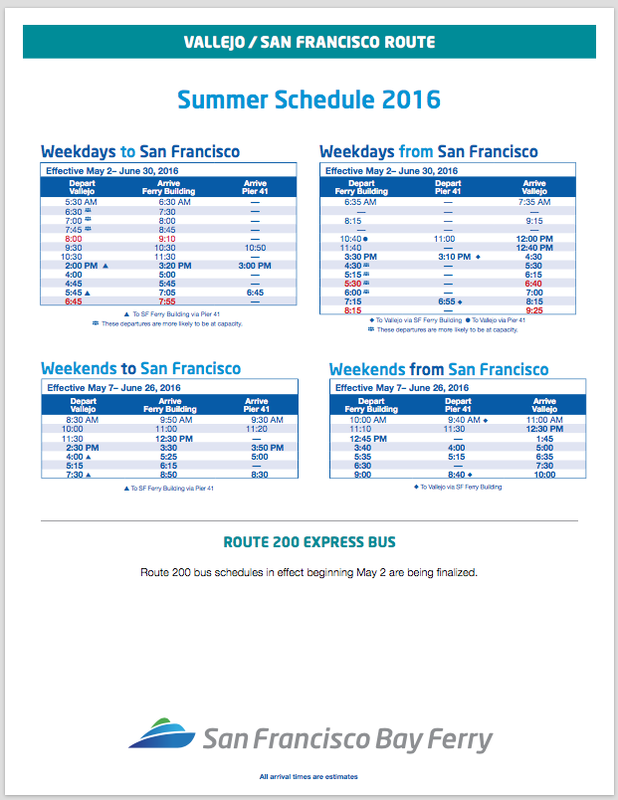 A new Vallejo Ferry Summer 2016 Schedule (pdf) is available for download. The Vallejo Ferry Summer Schedule is also available on our Vallejo ferry schedule page. The ferry typically takes one hour dock to dock. Be sure to include extra time for parking and buying tickets as the ferries leave on time, and often before scheduled. The ferry often fills up on Giant’s Game Days, and on the normal commute as more folks move to Vallejo and surrounding areas. Be aware.